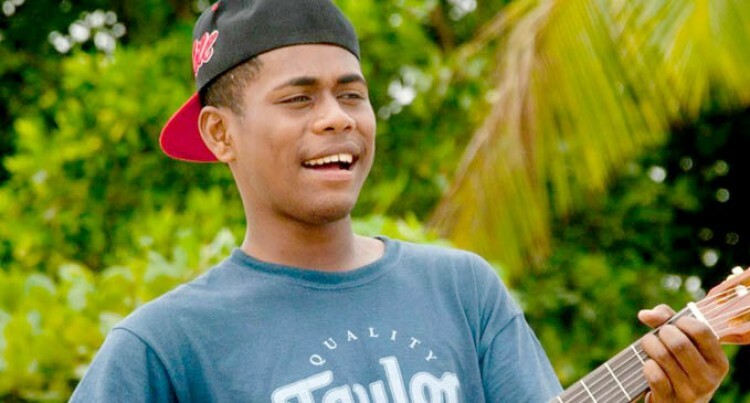 His mum is Georgina Ledua one of Fiji’s most loved singers and he has made a name for himself in the local music scene. Meet Pauliasi Koroiwaca, 24, who with his soulful voice and guitar playing; if you were hearing him for the first time you would think it was Usher or Miguel. Pau (as his better known) is originally from Nakini, Naitasiri and has maternal links to Liku, Nayau, Lau. He grew up in Nakini, Makoi, and Lami and has four siblings. “Ever since I could remember I have always loved music a variety of artists from within our local and international arena. “From Black Rose, Stevie Heatley, Georgina Ledua, Boys to Men, Brian McKnight, Craig David, Luther Vandross and recently my obsession with Chris Brown. His dad was a musician, composer and singer while his mum was one of the headlining female recording artists at that time. Pau’s singing was groomed in church and later evolved into public performances, during Fiji Day celebrations, school events and later eventuated in taking part in musical events. He said he was overwhelmed with all the attention his music got but felt that his just got started. Pau has featured with local artist like Romulo Leweniqila, Saimoni Numa, Savuto, Kiti Niumataiwalu, Tua, Paulini Bautani, Ilisavani Cava, Red Child, Roland Williams, Jasmine Duxbury, and Elena Baravilala. Pau has jammed in so many places that his lost track from resorts, birthday and weddings to private functions. In regards to challenges, Pau feels music is a growing industry in Fiji but a fast evolving one but one that faces a lot of exploitation where people expect to do so much for less. “We need to be appreciated more for the work that we do and people need to really support us by giving credit where it’s due and realising our value,” he said. Music is a full time career and one of his greatest achievements is being part of the Tolu band. He is currently working on his own music, writing and composing and hopes to release his debut album soon. He thanks his family, Hope Fiji, Kulture Entertainment and his fans who have supported him along the way. His long term goal is to make a mark and inspire people through his songs and most of all bring so much love to people who hear his songs because he has put a lot of effort into music with so much love. His advice to upcoming artist is to be themselves and to always show respect, be determined and never give up. Pau added that respecting other people’s art and celebrating it takes you a long way and music is an emotional thing and its whole purpose is to be shared.